Autumn is my favorite time of year to go hiking. Temperatures are ideal, bugs are gone, and the foliage makes for incredible views depending on where you are. 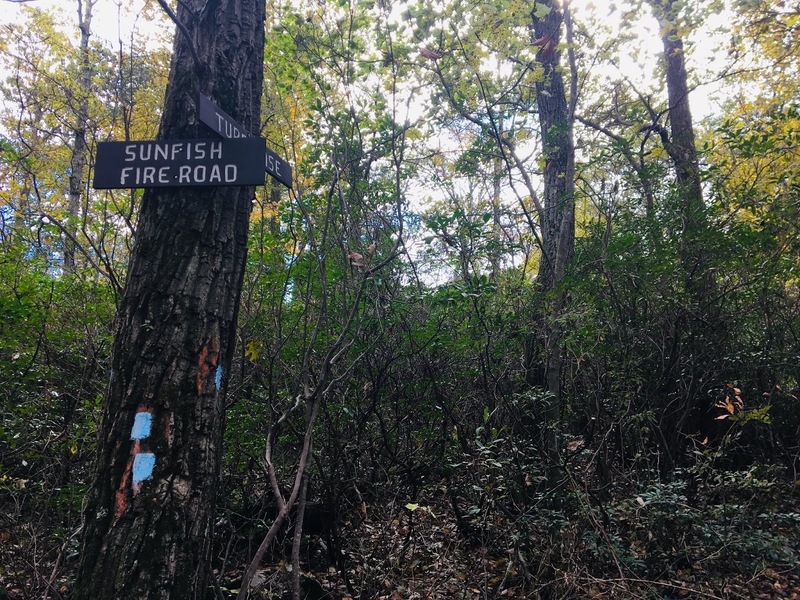 Mount Tammany and Mount Minsi are two of my favorite short-ish, steep Philadelphia area hikes with amazing fall views, but when I'm looking for something longer with less aggressive elevation gain, Sunfish Pond is one of my go-to's. Walking around Sunfish Pond, which I did for the first time on a recent trip there! 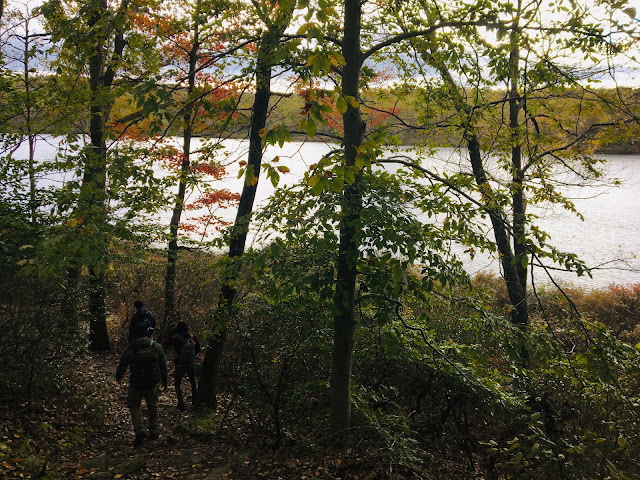 Nestled deep in the Worthington State Forest near the Delaware Water Gap National Recreation Area, Sunfish Pond isn't actually a pond at all. 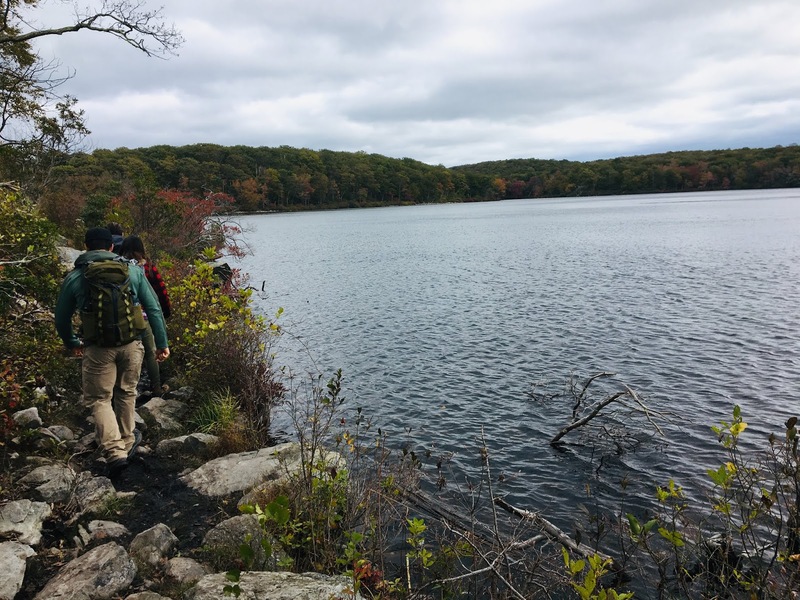 It's a quiet glacial lake accessible via the Appalachian Trail and a variety of other trails, and it's a perfect spot to visit if you're into water-based hiking destinations. As with Mount Tammany, another favorite area hike, park at the Dunnfield parking area (40.971756, -75.125610). Arrive as early as possible because the parking lot fills up quickly during popular hiking seasons. Along the Sunfish Fire Road toward the midpoint of the hike, part of an added 1.5 mile lap around Sunfish Pond. My preferred route follows the AT up, then a different set of trails back down to complete a loop hike. To access the AT, head to the north end of the Dunnfield parking lot, away from Route 80, and look for trail signs. Take the bridge across Dunnfield Creek and continue along the white blazed AT. You'll come to an fork with a large sign, one trail (the AT) heading uphill and the other continuing on along the creek. Take the high road, the AT, and you'll climbing gradually with the creek on your right. Continuing to follow the AT, you'll pass the blue blazed Blue Dot Trail on your right under one mile in. Though the elevation gain is spread across four miles, you're climbing the entire time. You'll pass the yellow blazed Beulahland Trail on your left just shy of the halfway point of the route up to the pond. and the blue blazed Douglas Trail on your left less than a mile from the pond along with a backpacker campsite. They're good landmarks to use to keep track of where you are on the AT, and how much further you have to go. Making our way clockwise around the pond, with some autumn colors starting to show. When you reach Sunfish Pond just before the four mile mark, you have the option to follow the AT to the end of the pond and then a fire road back around it, continue following the AT all the way to Maine, or relax at the end of the pond, one of my favorite mid-hike lunch spots in the area. The AT around the northern side of the pond is rocky, but worth exploring if you have time. It adds about an hour, or 1.5 miles, to the hike. After following the AT around the northwest side of the pond, look for the blue blazed Torqouise Trail, and turn right. After a short period of time, turn right again on the Sunfish Fire Road. The Sunfish Fire Road and Torquoise Trail junction. The signage in the area is super easy to spot. Right before you reach the end of the pond, and the end of the loop around the pond, look for the green blazed Dunnfield Hollow Trail on the left to start your route back down. 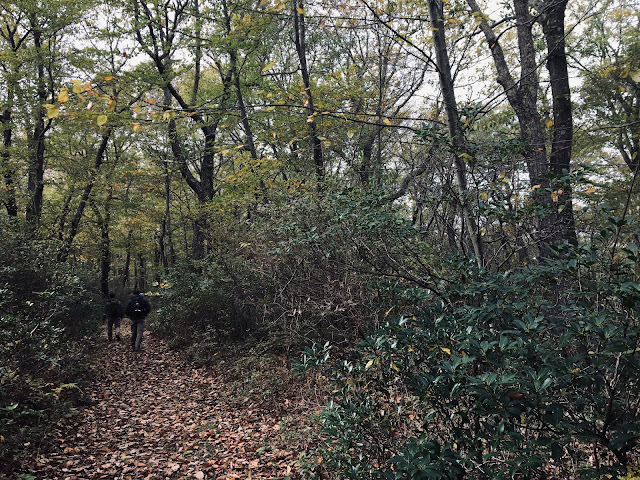 You can also backtrack along the AT, but regardless of whether you choose to loop around the pond or not, I always prefer looping trails rather than backtracking. The trail's green blazes, which can be hard to spot in the summer, take you southwest back toward the Delaware River. You'll cover a number of creek crossings and you'll pass the red blazed Holly Spring Trail on the descent. It'll be on your right, for landmark purposes. The Dunnfield Hollow trail intersects with the the blue dot trail less than a mile from the parking lot, and eventually, you'll be back at your car. The route in this post is just about eight miles round trip; pack enough water and food for a full day, and add some electrolytes in the mix if you're taking the hike on in the summer. Also, layer up if you're there in the fall, it can be windy and chilly along the AT. Walking along Dunnfield Creek on the blue blazed Dunnfield Hollow Trail. The gradual elevation gain makes Sunfish Pond a manageable hike for beginners, but plan on taking at least four hours with stops, and know your fitness level. 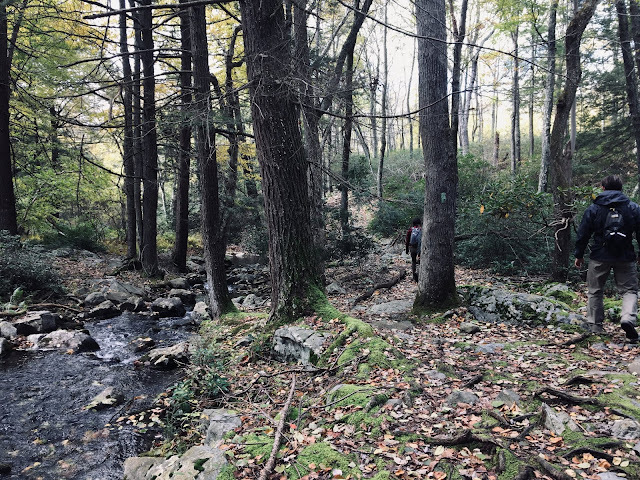 And make sure you have appropriate hiking shoes for this hike; the creek crossings can make for wet feet if you're not prepared! Also, consider hiking poles if you’re uncomfortable on uneven ground. You’ll climb 1,000 feet on the hike. This map shows the trails mentioned in this post, but it's not super detailed. This Kittatinny Trails map set is among my favorites; pick it up before you go. And finally, as as tempting as it might be to take a dip in the pond in the summer, avoid the temptation. Swimming is prohibited. Have you done this hike, or visited Sunfish Pond by other trails? 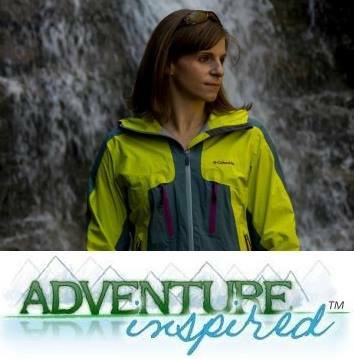 What about other hikes in the Delaware Water Gap? We’d love to hear from you!